Emma Watson Updates: Emma Watson: "Hermione is not just a role for me, she's a symbol." Emma Watson: "Hermione is not just a role for me, she's a symbol." 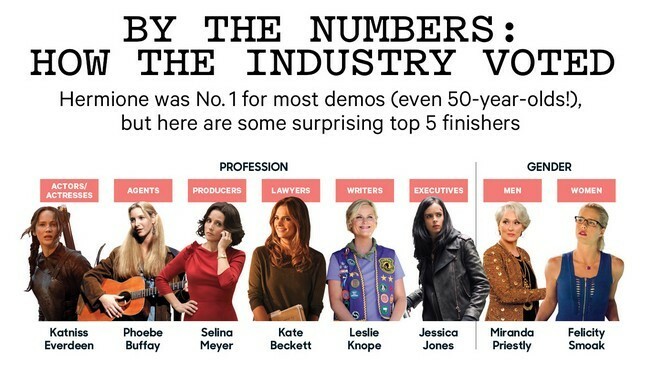 The Hollywood Reporter listed Hollywood's 50 Favorite Female Characters. For THR's latest intra-industry poll, the editors asked Hollywood professionals — actors, writers, directors and others — to take an online survey of their favorite fictional female characters. More than 1,800 participated — twice as many women as men — but the results proved there isn't such a great divide between the sexes after all, at least when it comes to what types of females we enjoy watching on screens. By comfortable majorities, both genders picked a certain Hogwarts know-it-all as their No. 1. Without this clever, Muggle-born little witch, Harry and Ron still would be pulling their wands out of their noses. "Her empathy, her sense of integrity, her decency and resolute belief in fighting for justice and fairness — even when her earnestness made her an easy target for ridicule — they're all unwavering," the character's biggest fan, Watson, who played Hermione in the $7.7 billion-grossing films, tells THR. During the long audition process for Harry Potter and the Sorcerer's Stone, Watson was asked if there was anyone else in the series she'd be interested in playing. "There was never a question in my mind: I was in love with Hermione," says Watson, who began playing the whip-smart witch at age 11. The character, from the mind of J.K. Rowling, was not only extremely smart, but also kind and, often, the voice of reason in the trio of best friends. "She's all head and all heart," says Watson. The one change that Watson fought for? She was determined to get "her out of those ridiculous tartan skirts in the first two movies," which she accomplished by the third film in the seven-film franchise. 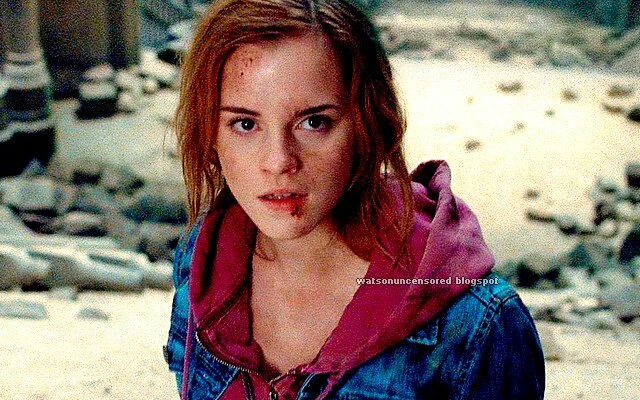 "Hermione made it OK for girls to be the smartest in the room. To be a leader, the one with the plan," says Watson. "She's not just a role for me, she's a symbol. I am deeply proud to have played her."